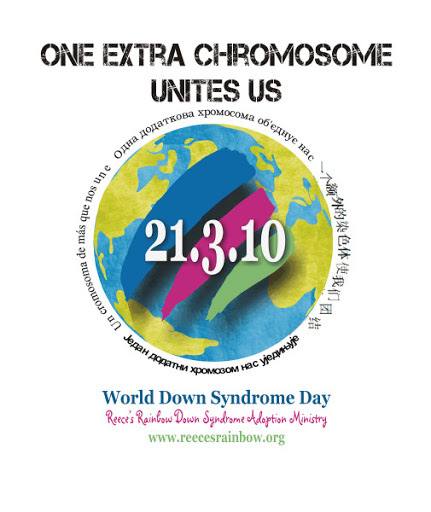 Did you know that March 21st is World Down Syndrome Day? Instead of me just reiterating what that is, you can read it here. We have decided to become a “Warrior” for one of these children and to help provide funds for a family to adopt this child. As you may have read on Reece’s Rainbow, the average cost to adopt one of these children is $25000. Knowing that may be enough to hinder families from bringing one of these precious children into their lives. Help us change the life of this little girl!! 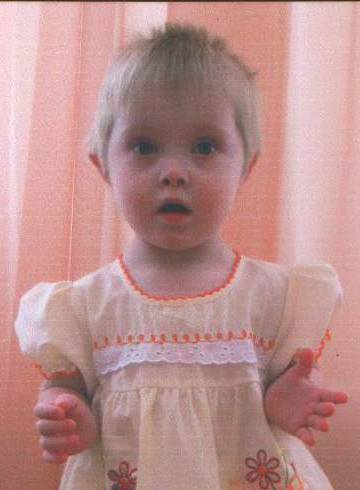 Click on the Chip-In button on the right and help us raise money so Milana can be adopted by a loving family. As mentioned before, I firmly believe in the power of prayer so I am asking all you fellow bloggers to pray for my mom for the next few days. She is having her mastectomy and reconstructive surgery tomorrow. Surgery starts at 8 and will potentially be a 6 hour surgery with 2 hours in recovery. Please pray for peace for Mom and the rest of the family. Please pray for wisdom for the doctors. Please pray for speedy, painless recovery. At 13 months Daphne has decided to use walking as her primary method of transportation. She rarely crawls anymore – only if she needs to get somewhere EXTRA fast. She is still a little wobbly, but overall she is doing great! As long as Daphne is fed and rested she couldn’t be happier. She definitely wants her food instantly and NEEDS her sleep – that’s what makes her the perfect combination of Kevin and me. Daphne enjoys exploring every nook and cranny of this house. She often gets stuck in things, between things, behind things, under things, etc. She reaches onto tables for anything hanging over the edge and the reaches under things – who know what she might find. Daphne definitely loves to be held. She is often glued to my hip at the end of each day. If someone else is around to give her extra attention – you can bet she will expect to be held. Daphne babbles constantly but still only says dada and mama clearly. If we ask her “Where is Norah/Lucy?” she will turn towards them – sometimes she walks to them. She understands a lot of what we say – but just doesn’t really have any words yet. Although with 2 big sisters to talk for her – she may never need to talk! Daphne loves her food. She will eat just about any fruit. Her other favorites include cheese, yogurt, toast with butter, turkey, chicken, carrots, corn and pasta. We are enjoying her so much and it is so fun to watch Daphne grow. We are so thankful for this little blessing that God gave us!! 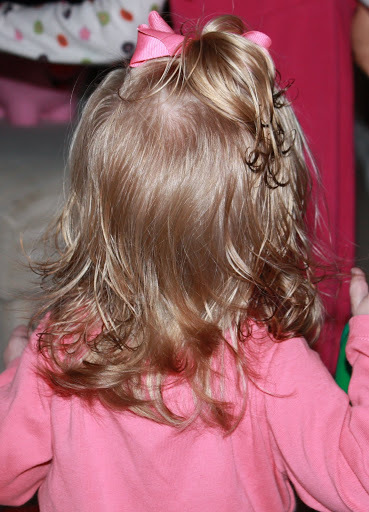 Check out Daphne’s long hair! From behind she doesn’t look like a 1 year old. Here is my first official blog post of our Tot School. I don’t know if it is because she is the third, but Daphne doesn’t get a lot of playtime just for her. We play, of course, but Daphne usually joins in on what the big girls are doing. I am trying to make our playtime more intentional so I am hoping that posting weekly Tot School pictures will help. I haven’t given Daphne any crayons yet so I thought this week would be a good week to start. On Thursday, Norah and Lucy broke up some of our old crayons and sorted them by color. We lined a muffin tin with cupcake liners and added the old crayons. I melted the crayons in the oven at 350 degrees for about 5-7 minutes. Once cool we peeled off the cupcake liner, and Voila! We had chunky crayons for Daphne. I put Daphne in her booster seat and gave her a couple of crayons and paper. Of course, Daphne first tried to eat the crayon. Then she basically banged the crayons on the tray. It was a fun first try!! We read/sang the Wheels on the Bus. 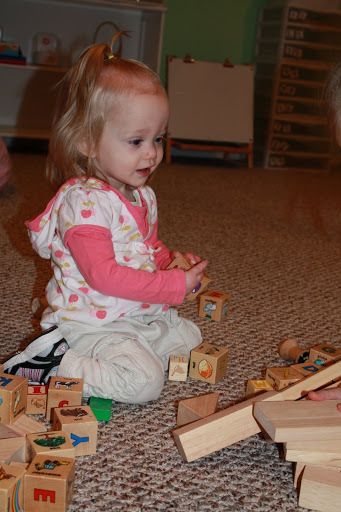 This week we played with blocks. The girls dumped the wooden blocks out for Daphne and did a great job of letting her explore the blocks before they started building. Daphne basically just turned them in her hands, banged them together, licked them, chewed on them and dropped them back in the bucket. Once Norah, Lucy and I started building, Daphne squealed with delight as she knocked over our towers. I am trying to figure out how to fit this “intentional” playtime that is totally focused on Daphne into our normal day. Obviously, Daphne gets lots of attention and playtime during the day, but like I said before I want some time that is focused on her. If you are interested in learning more about Tot School check out this blog. 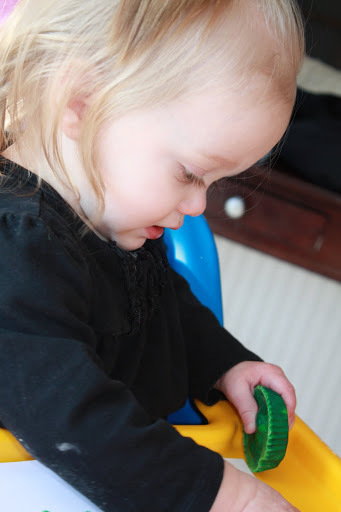 You will find TONS of really great ideas for toddlers of all ages. I want to tell you about some friend of ours, Erin and Larry Loraine. They are missionaries with Family Life Today which is a ministry dedicated to teach the world God’s design for marriage. It is a wonderful ministry!! Click over to their blog to read the story of their ministry. 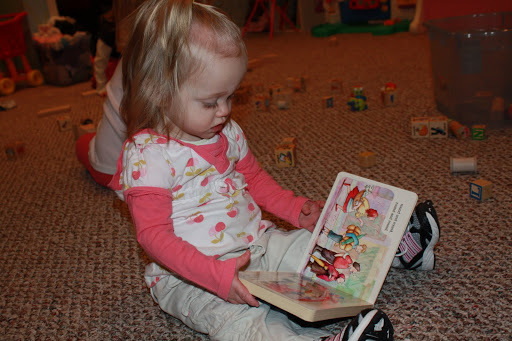 While on their blog, you may read that they are adopting a little girl through Reece’s Rainbow. 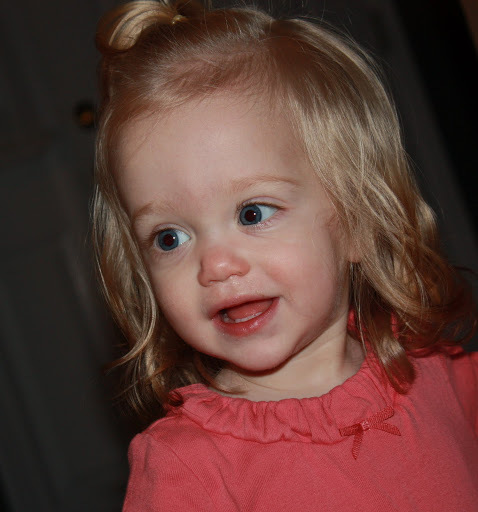 Their little girl has mild cerebral palsy – which affects her legs. They are raising funds to be able to bring the daughter home. Click here to read the beginning of their adoption process. Also, check out Reece’s Rainbow to learn a little more about this ministry dedicated to finding families for their special needs children from all over the world. I am thankful to Erin for bringing this ministry to my attention. The girls and I have been praying for families for some of the children. My heart was broken after Erin wrote this post. God calls us to look after the orphans. What can you do to step out in faith? I pray that reading this will urge you to do something today – pray for these children, pray for the families in the process of adopting a special needs child through Reece’s Rainbow, pray for a family adopting children through another wonderful organization or maybe give financially to one of these children/families.